Famed author and pal-o-mine Charles Benoit once described the two schools of writing to me: plotting and plodding. The plotters lay it out ahead of time, the plodders discover as they go. Bill Frisell is a plodder, in this case with a Tele in lieu of a typewriter. I mean, how could he know where he was going with Beautiful Dreamers (his guitar/cello ensemble)? Frisell is prolific, having played guitar on more than 250 recordings. He has worked with masters like Elvin Jones and Ron Carter, and interpreted the music of Elvis Costello and Burt Bacharach. Frisell as a performer is a minimalist, his back frequently to the audience. But if you clear a little head space for the cat, his plodding will take you places you've never gone. 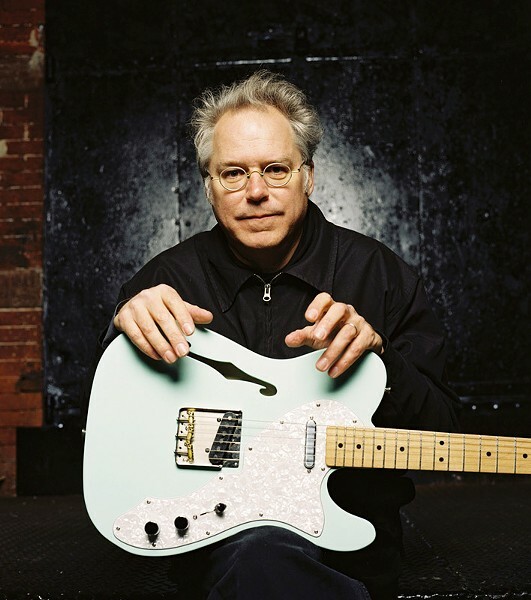 Bill Frisell plays Sunday, March 24, 7 p.m., at Water Street Music Hall, 204 N. Water St. $35-$55. waterstreetmusic.com.